I have to agree, Laos girls do have a natural beauty about them. Please don't become like Korean woman. They fix so much. Make me wanna go back to Laos and look for a gf. Too much kimchi is bad for you. I love kimchi, although the kimchi that I had in VTE wasn't so delicious, except for the kimchi that I tried at a North Korean restaurant called Pyongyang. I noticed quite a few Korean restaurants in VTE. Do not each too much though... One time I had alot of these kimchis in a Japanese resataurant and when I start showing I kept farting and farting and I wished I had a gas mask just to save myself from suffication . Kimchi is very dangerous! Hmm...no sense of humour. You all still alive? I have to agree with ya on that buddy ! I like Korean food too.Especially the grilling of meat and such. 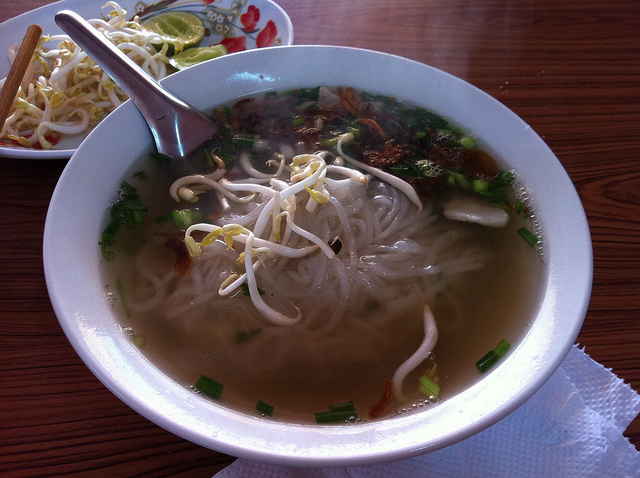 You should checkout the numerous Korean (both North and South) restaurants in Vientiane. I prefer the North Korean restaurant called Pyongyang which serves specializes Northern dishes. Any foodd/flavour differences between North and South? North has chinese flovor, South, Thai Flavor, East, Viet. Like any country there's regional differences in various dishes. North Korean cuisine tends to use less chili peppers in their kimchi compared to their counterparts in the south. The southern most part of South Korea tends to use a lot of seafood in their kimchi like whole pickled fish, oysters, squid, etc. The north tends to use ingredients like pine nuts, Asian pears, chestnuts and even ginseng. There's also a dish that originated in the north but widely popular in the south called naengmyeon or cold noodles in English. There's many more examples but I'm too tired to explain the differences now. LOL!!! It's been a long day and a bowl of khao piak sen is calling my name. 'khao piak sen' - what is that?